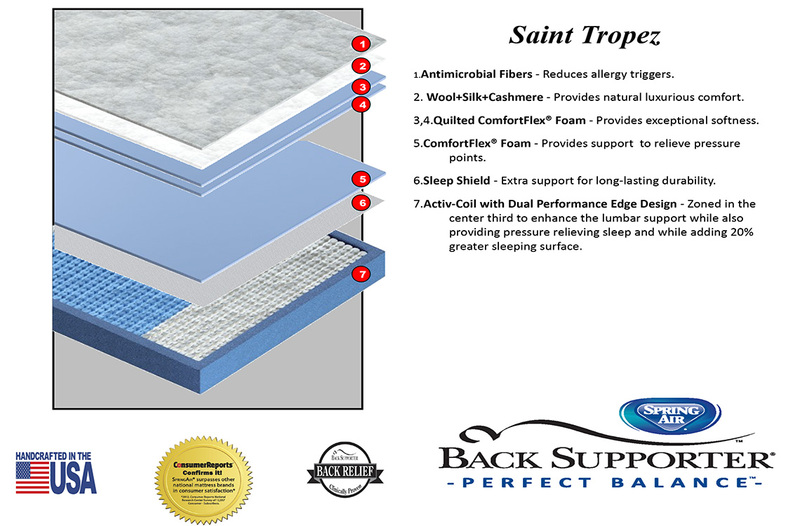 The Saint Tropez is the lowest cost of the Back Supporter "Saints" line and offers plenty of premium features. 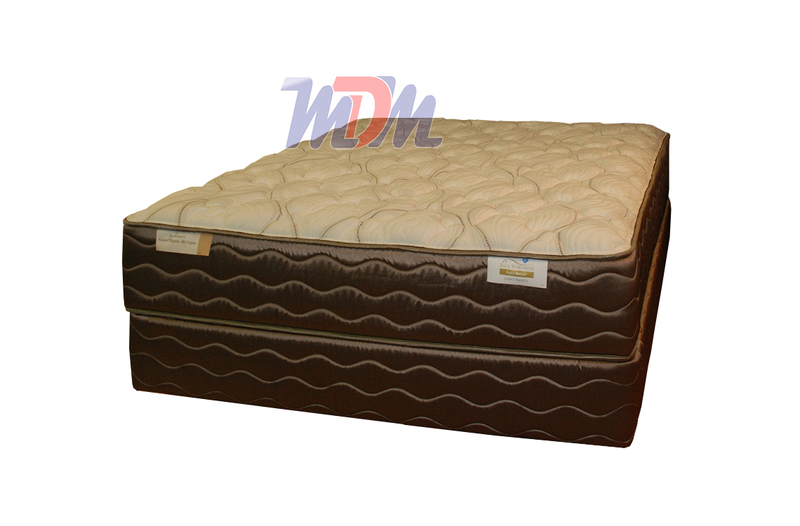 A very respected maker, Spring Air offers a great value in this very popular model of mattress. With a medium-feel, this is a great mattress for couples; a good compromise in feel. High-quality pocket coils contour to your body and - while its great for any sleeping position - specifically benefit those of us who sleep on our sides/hips. The cover is made from anti-microbial materials, which benefits those with allergy issues. ComfortFlex Foam helps to relieve tension on pressure points and, a zoned coil system provides for you more coils in the places that you need them the most.